We’ve always found that voice control systems in cars are a bit pointless, since virtually every one is crap. (No, we don’t want to go to Ottawa, we want to turn on the radio. NO ONE WANTS TO GO TO OTTAWA.) But it turns out that if you do use a voice control system in your car, it could be incredibly distracting. 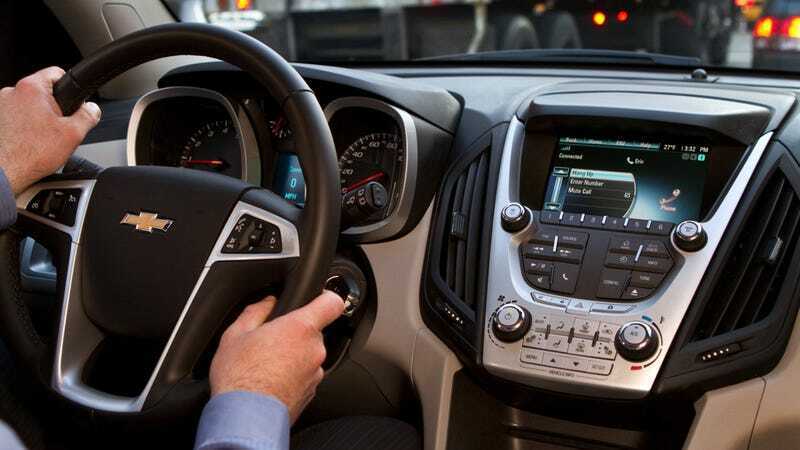 When using a voice-activated system, research shows that drivers’ attention stays on the system for an average of 15 seconds after the task is complete in the least complex systems, and nearly double that for the most complex, reports the New York Times. Some systems are worse than others (looking at you, Siri and Mazda 6). Buick LaCrosse drivers, on the other hand, finally have something worth bragging about - they offer one of the least distracting voice systems. But on the other hand, you’re in a Buick LaCrosse. So there’s that.